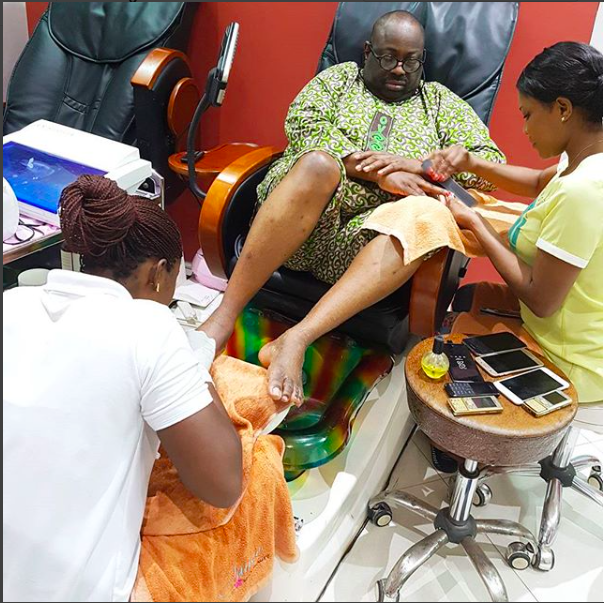 Dele Momodu is taking the heat after he shared a photo from his pamper session. 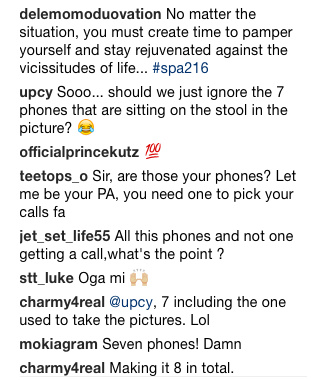 The publisher of Ovation International took to Instagram to share a photo while having a mani pedi session, but eagle eyed Nigerians were quick to spot something else. No matter the situation, you must create time to pamper yourself and stay rejuvenated against the vicissitudes of life... #spa216, he captioned his photo. 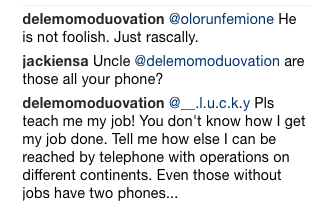 His followers pointed out the fact that Mr Momodu had seven phones which he displayed on the stool by his side. Some questioned why he carries that number of phones while others simply supported him. 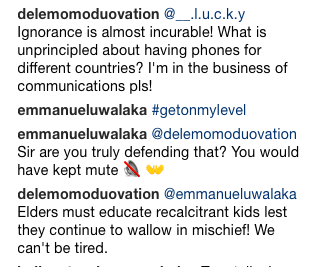 Dele Momodu swiftly clapped back at his critics. He explained that he needed the phones to communicate with his many business partners from different countries.